Application to trigger scenes in ~sedna presenter player 3.4 and above. Build your own trigger buttons to start playlists and arrangements. Four predefined buttons can be used for free. 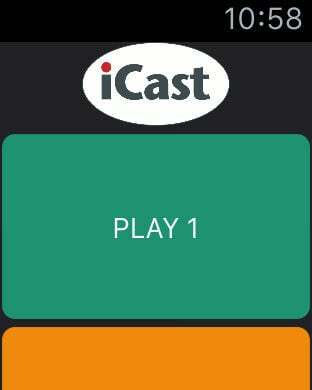 If more buttons are to be added, the iCastShotBox Admin computer software is required. The four free buttons are also available as an Apple Watch Extension if you run iCastShotBox2 on an iPhone. For media play out ~sedna presenter player, version 3.4 and above is required. Version 1.0 still is available in Appstore, for older versions of ~sedna Player.